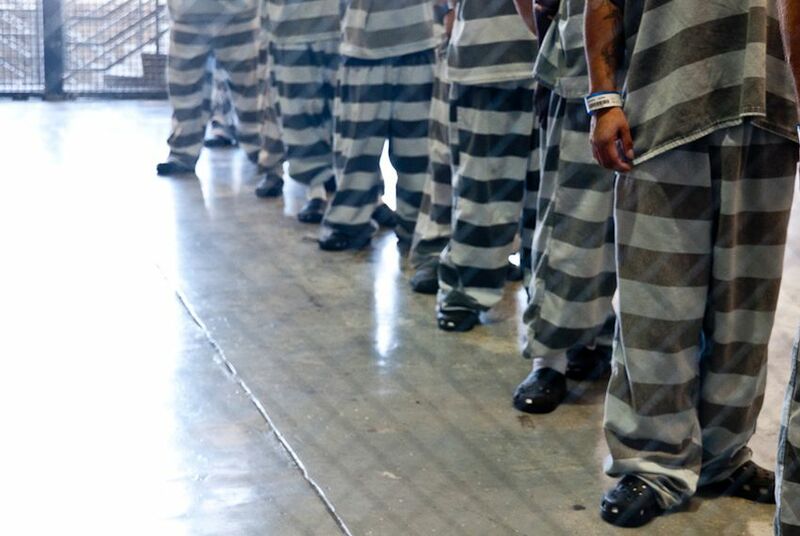 Since abuse scandals rocked the Texas juvenile justice system in 2007, reforms have led to fewer youths in prison and less crime among youths, but a national report issued Tuesday indicates Texas could still do better. Since abuse scandals rocked the Texas juvenile justice system in 2007, reforms have led to fewer youths in prison and less crime among youths, but a national report issued Tuesday indicates Texas could still improve. The report, by the Annie E. Casey Foundation, outlined a list of recommendations for states to improve their juvenile justice systems. Texas had already implemented several of them following sexual and physical abuse and mismanagement scandals that led to a complete overhaul of the Texas Youth Commission. But more investment is needed, advocates said, to ensure that youths get the mental health and trauma services they need in their communities. From 2000 to 2007, more than 750 complaints of sexual abuse were filed by youths in Texas Youth Commission facilities. Federal investigators also documented 1,025 youth-on-youth assaults in 2005 at the Evins Regional Juvenile Detention Center and 568 in the first half of 2006. Those scandals and subsequent investigations led to calls for reform from lawmakers. The reforms that started in 2007 continued this year, when lawmakers approved the merger of the Texas Youth Commission and the Texas Juvenile Probation Commission into a new state agency. That measure expanded community-based programs as an alternative to large, state-run facilities for youth offenders and closed three TYC facilities. The foundation's study, which examined data from juvenile justice systems nationwide, argued that over-reliance on incarcerating youth does not reduce recidivism. It recommended keeping low-level offenders closer to home for treatment and rehabilitation instead of sending them to large prison facilities, a policy Texas has largely adopted. “Despite their exorbitant daily costs, most juvenile correctional facilities are ill-prepared to address the needs of many confined youth,” the report states. The report also found that the average cost of incarcerating youths can reach $88,000 for 12 months. Between 1995 and 2005, Texas saw a 48 percent increase in the number of youths incarcerated in state facilities. Among the reforms Texas approved in 2007, was a law that limits incarceration to only felony offenders. The number of youths in TYC facilities fell from 2,327 in 2007 to 1,143 in 2010. During that time period, from 2006 to 2009, total juvenile arrests dropped 10 percent. Jim Hurley, a spokesman for the Texas Youth Commission, said the report shows that reforms are working. “This is a constantly evolving field in Texas, and we’ll take the best practices to try and involve their whole family,” he said. Ana Yañez-Correa, executive director of the Texas Criminal Justice Coalition, said the report’s findings confirm what many advocates have said since the TYC scandals were reported. But she said that to continue the improvements, Texas must continue to invest in mental health and trauma services for youths.